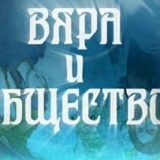 An academic celebration was carried out in the Todor Kableshkov University of Transport ceremonial hall on 14th December 2016 on the occasion of the launch of a fund-raising campaign for the construction of All Bulgarian Saints Orthodox Church at University. 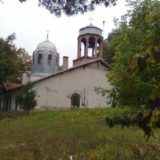 The church building idea has been developing with the noble objective of reviving Bulgarian century-old orthodox tradition. The institution rector prof. Todorova said in her speech: “This initiative, an orthodox church construction, will be valuable to all employees working on our university grounds. Lecturers, students, employees, and why not other firms’ workers and employees, will be able to enter the church and share their needs. The church will be constantly open to anyone facing a difficult choice or decision, experiencing life hardships and everyday problems. However, this church construction requires significant resources. This is the reason why our University Governing Body, along with Church Board, is having today this celebration and is symbolically inaugurating a funds-raising campaign to make the idea feasible, to put it into practice. Let all of us be stimulated by our hearts call and give our contribution driven by most selfless motives”. 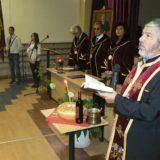 Celebration guests were: His Reverence father Angel, Sofia Bishop’s Residence coadjutor, assoc. 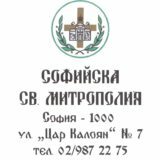 prof. Dimitar Dimitrov, conductor, with many years of service, of the choir at the most significant for Bulgaria church, St. Alexander Nevsky Cathedral, assoc. 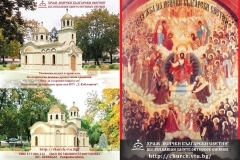 prof. Klara Toneva, PhD, a well-known theologian and lecturer at Faculty of Theology, Sofia University, father Georgi, chairperson of the church under construction Church Board, architect Maya Shakina, church architectural design author. Father Angel delivered an emotional speech about faith and its role in human spiritual development. Church choir conductor assoc. prof. Dimitar Dimitrov thanked for the invitation and said that his father worked as a locomotive engine driver; assoc. prof. Dimitar Dimitrov told personal life stories and encouraged young people to have stronger faith and to aspire at good. Assoc. prof. Toneva delivered a lecture entitled “Faith and nowadays world”. 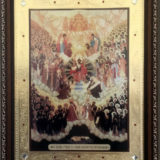 Main emphasis was put on contemporary person loneliness and impaired horizontal connection with people as well as vertical connection with God. Assoc. 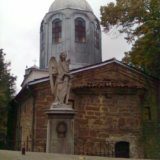 prof. Dimitar Dimitrov, lecturer at Todor Kableshkov University of Transport, gave a presentation on his pilgrim’s journeys to Saint Mount Athos. Church site was presented at the end of celebration; all attendants were appealed to spread the idea and support the church construction. The sum amounting to 502,60 BGN was collected; it was deposited on the same day into the church under construction bank account. 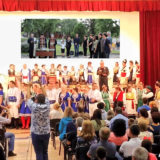 The academic celebration was covered by Bulgarian National Television-1 programme “Faith and Society”, TV EVROPA, The Trud (weekly paper), The AZ-BUKI, Градът.bg and other media.